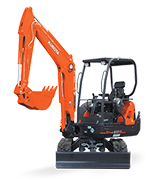 The Kubota KX040-4 combines superior strength, versatility and performance to deliver one of the most balanced excavators on the market. 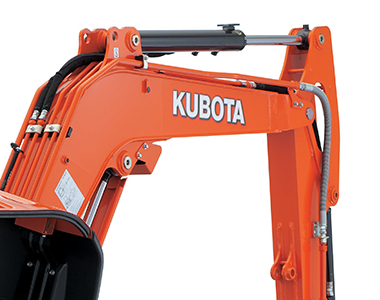 Incorporating industry leading technology, the Kubota KX040-4 produces less noise, reduced edmissions and is equipped with eco mode, which can generate fuel savings by up to 20%. 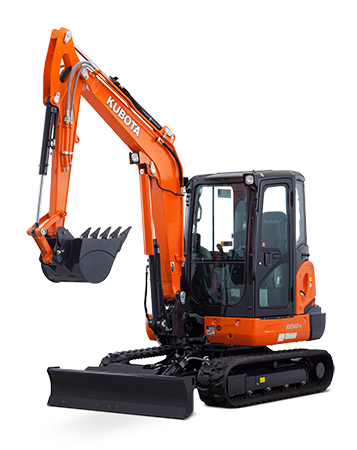 Now with an angle blade model in the lineup the Kubota KX040-4 sets the benchmark for all other excavators to follow. 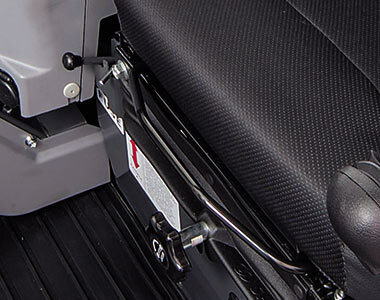 Auto idle system automatically reduces RPM’s when control levers are left stationary, reducing noise and savings costs. ECO mode technology generates fuel savings up to 20%. 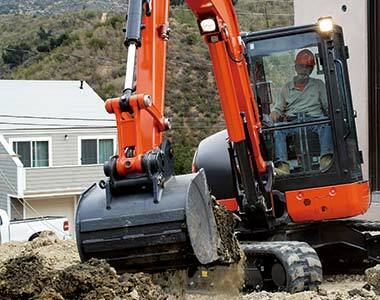 Best in class breakout force of 3315KG tackles even the toughest jobs. Proportional flow control of auxiliary circuit (AUX1 and AUX2) on the thumb along with maximum oil flow settings easily adjusted from the digital panel. 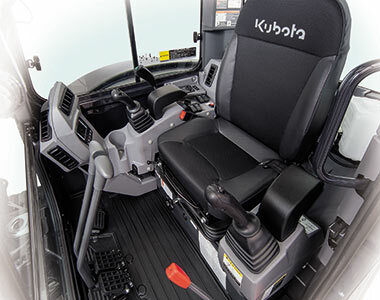 Auto travel shift system enables shifting from high to low range speeds giving operators smoother operation when dozing or turning. 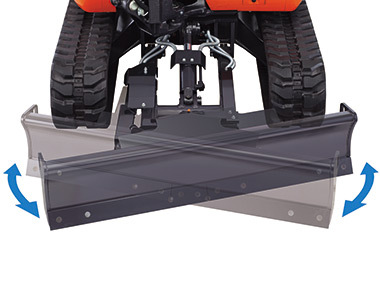 Also ROPS and FOPS certified for ease of mind when entering any job site. Two piece hose design for the dozer to simplify hose replacement and reduce down time along with front pin bushes to maximise durability and longevity. 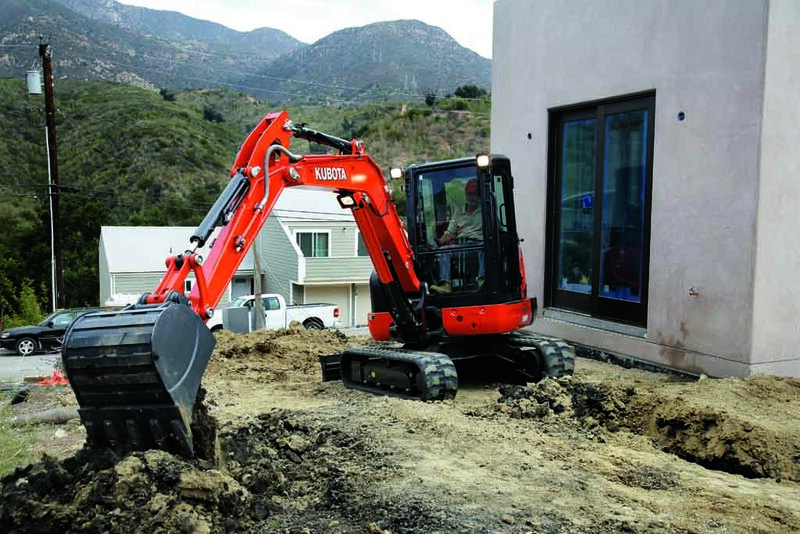 Grease ports for the swivel bearing, gear teeth, and cylinder pin are conveniently grouped on the front house. 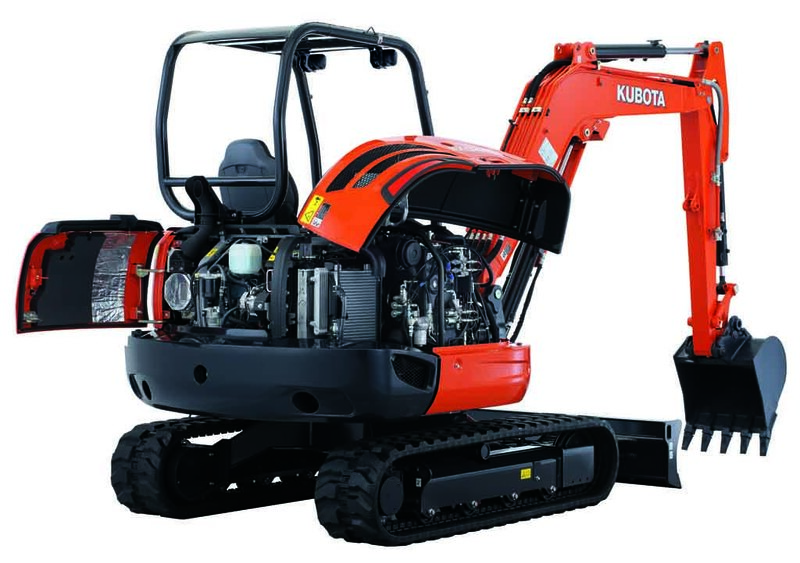 Kubota’s CRS engine electronically controls the timing and amount of fuel injected, producing less engine noise and better fuel efficiency. 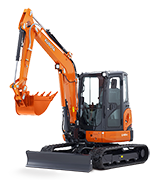 The DPF works by automatically burning the particulate matter build up, automatic burning can be postponed when the excavator is operating in fire prone areas hazardous environments. CRS and DPF work together reduce harmful emissions while increasing performance. 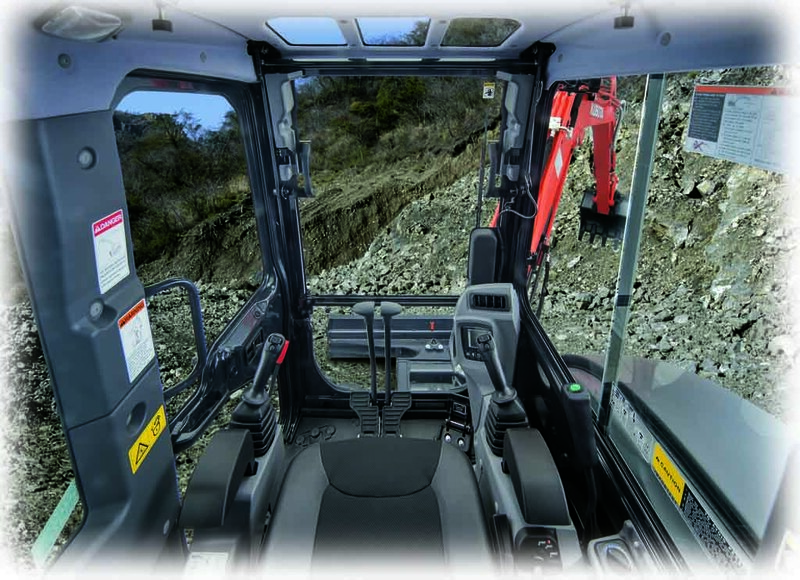 Wider entrance for easy entry and exit from the cab along with greater operating area. 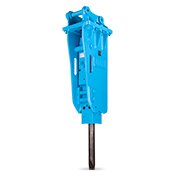 Angle the blade up to 25 degrees both left and right for optimal backfilling eliminating repetitive repositioning. Standard with bolt on cutting edge along with durable fixed hooks. ECO mode is best for light work like bulking out or filling trucks, achieving big fuel savings without sacrificing performance. 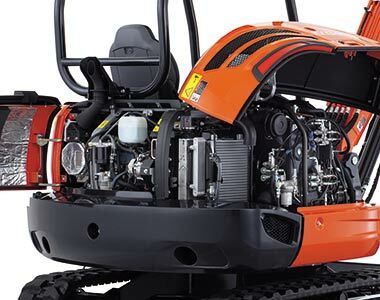 Eco mode works by reducing the maximum load on the engine through the hydraulic system. 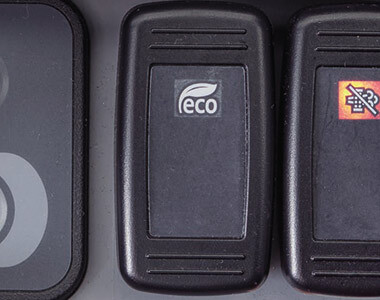 Eco mode can be activated by a flick of a switch in the cab. ECO mode uses pilot pressure to adjust the force on the horsepower spool; low force for ECO mode, high force for normal mode.